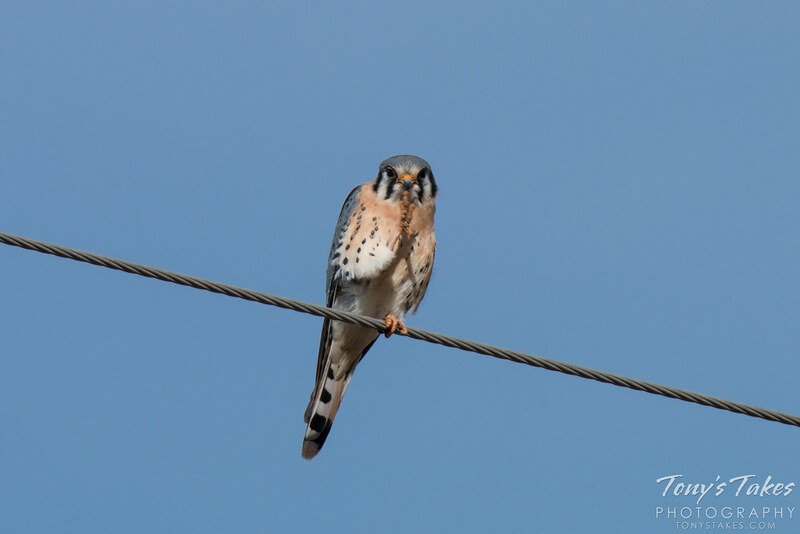 This American Kestrel may not have appreciated having his picture taken this morning as he appeared to be giving me the one finger salute. 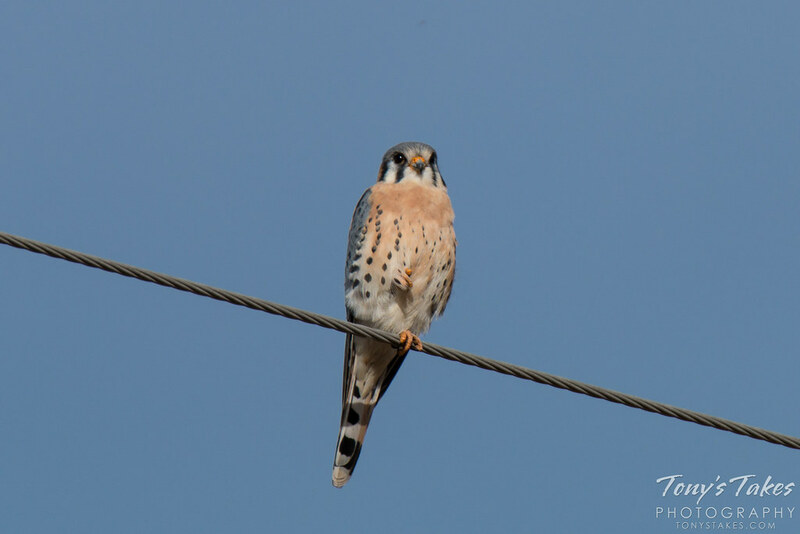 😉 After a frustrating morning covering lots of miles with little to show for it, I was happy to find this little guy on the last leg home. 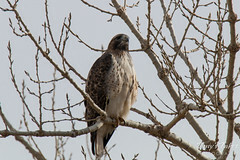 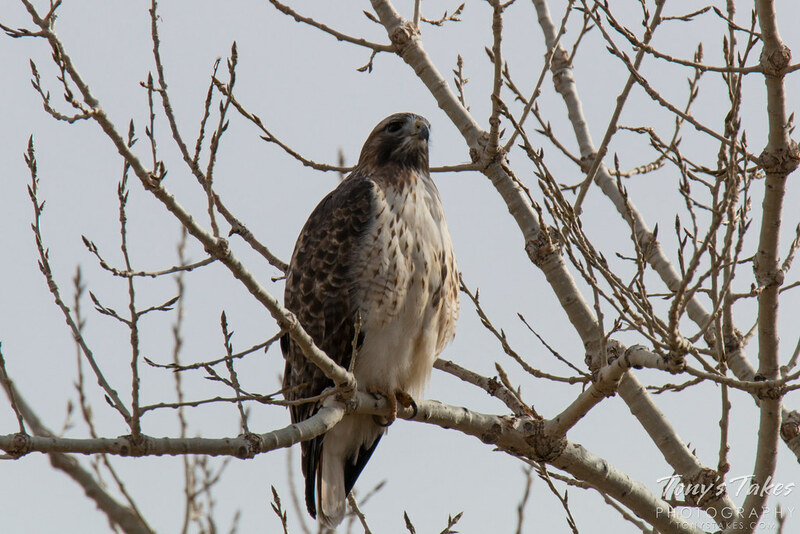 A Red Tailed Hawk tries to hide among branches. 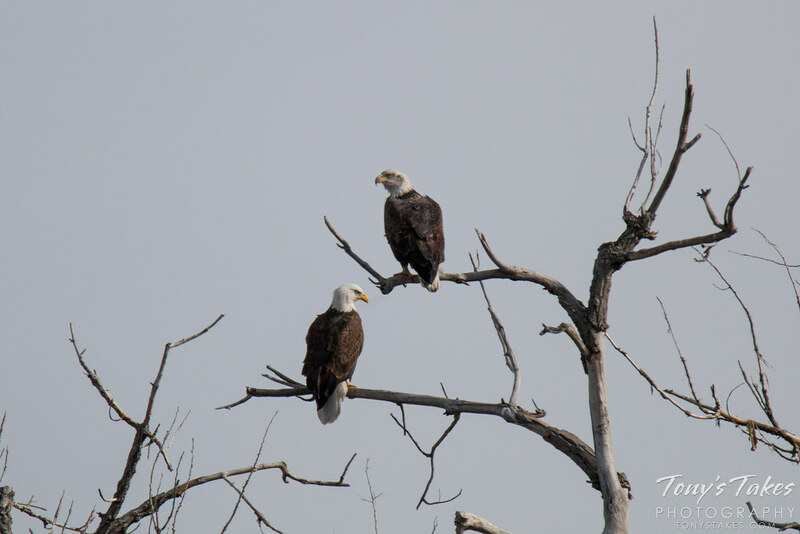 A pair of bald eagles rests along the South Platte River. 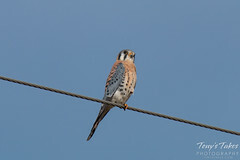 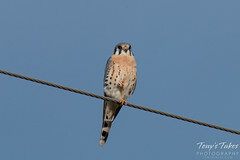 An American Kestrel poses for a picture. An American Kestrel appears to be giving a three fingered salute.